The additional food for dogs DOG FIT by PreThis® JOINTS greenshell ensures healthy and strong cartilage by an optimized formation of synovial fluid (joint grease). The green-lip shell is particularly valuable because the extract this shell from New Zealand comprises a large number of important glycosaminoglycans which also for the preservation and reconstruction of the articular cartilage. The cartilage and the synovial fluid offer the joints of the dog an optimal protection against the friction, shocks and bumps. With the joint cartilage are to have jurisdiction to cushion shocks and vibrations, prevents the synovial fluid effectively that the joint components of the animals can rub against each other and this with time a bone abrasion on the dogs in the joints. Therefore the synovial fluid also called as joint grease. The joint grease also ensures the transport of important nutrients to the joint cartilage mass and for the removal of pollutants. Under certain circumstances, as in old age and in the event of heavy loads, race-related damage or in case of a wrong diet, it can occur that the production of the joint grease in the canine body, which reduces the friction on the joints act and this can damage and on the other the articular cartilage is no longer sufficient to supply important joint nutrients and thus also their flexibility. This can lead to a reduction in the cartilage mass, which the dogs joints of an additional risk. Cartilage degradation prevents DOG FIT by PreThis® JOINTS greenshell in advance and can also be used for acute complaints for healthy dogs joints. In the green-lip mussel Perna Canaliculus (also called green-lipped mussel or green shell) the glycosaminoglycans help the dog body in a natural way, constant a sufficient amount of joint grease to produce which is also of course the cartilage and joints of even the best be protected against wear. The New Zealand green-lip mussel extract can be very good for prophylaxis for the protection of the dog’s joints, but also in the case of already existing joint problems should be administered. 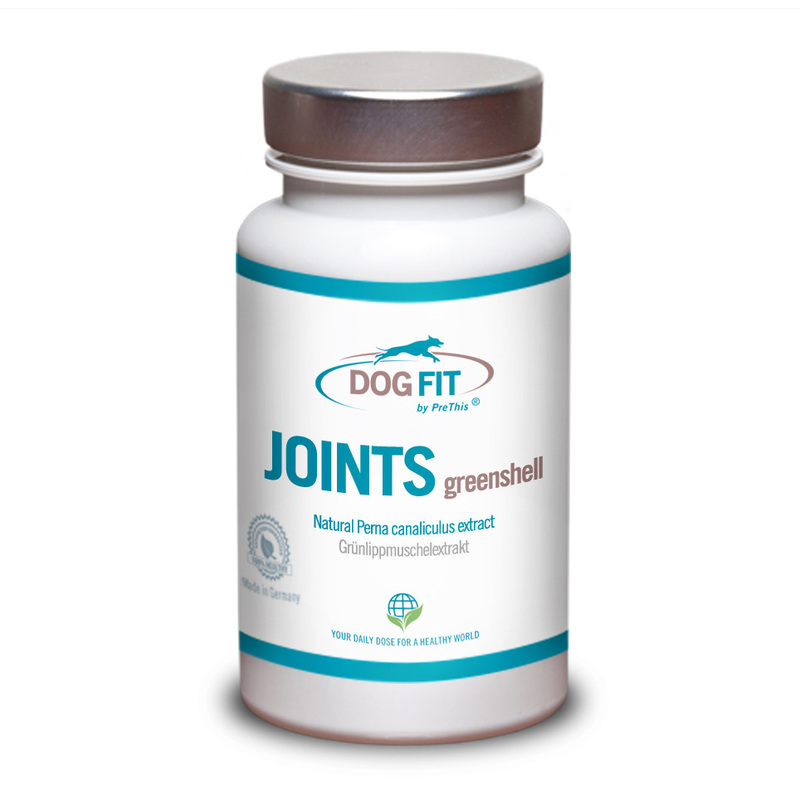 Order today DOG FIT by PreThis® JOINTS greenshell in the original DOG FIT Onlineshop. Tags: grünlippmuschel, grünlippmuschel hunde, grünschalmuschel gelenke, prethis grünlippmuschel.